Not all of the tools that are part of this new package are new, though. Turns out, Microsoft built App Service on top of existing tools like Azure Websites, Mobile Services and Biztalk Services. Microsoft will migrate all existing Azure Websites users to the new package (for the same price). Azure Mobile Services users will also migrate to the new service, but at a slower place because the move actually breaks a few existing API services (though Microsoft notes that it’ll be very easy for developers to make the necessary changes to port their applications over to the new service). For now, Azure Mobile Services and the mobile component of App Services will be available side-by-side, but over time. It’s unclear for how long Microsoft will support both services, though. 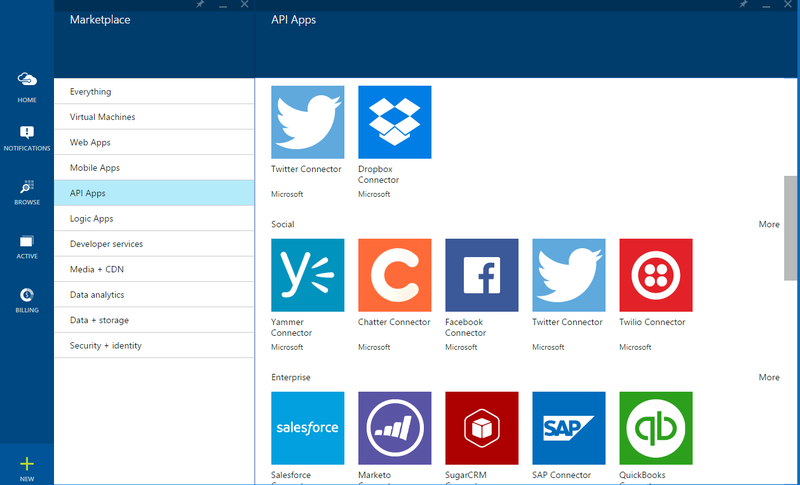 Azure App Service now integrates these features into a single service. “We believe that unifying this experience makes app development much simpler,” Microsoft director of the Azure Application Platform team Omar Khan told me last week. What Microsoft hears from developers is that they need to deliver apps to lots of devices and platforms — hopefully using their existing skill sets — and that they need to connect data from many different places to their apps. 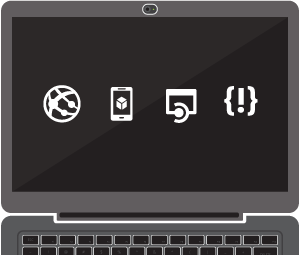 The existing services, which allow developers to quickly set up a scalable website and the backend tools they need to host their mobile apps (databases, push notifications, single sign-on, etc. ), won’t get any major new features. But as Khan argues, developers will see some changes because they can now take advantage of other services that didn’t exist across the different tools, including staging and production slots, as well as web jobs. The most interesting of the two new services is probably the one for building what Microsoft calls “logic apps,” that is, applications that automate business processes across different hosted and on-premise APIs and services like Office 365, Salesforce .com, Dropbox, Facebook, Twitter and databases from Oracle and SAP. Developers can combine these data sources using a visual drag-and-drop builder and then use the results in their own web and mobile applications. It’s worth noting that App Service also includes an API management component, but this won’t replace the existing Azure API Management service. Similar to the existing service, though, Azure’s new API Apps will allow developers to find, host and manage APIs from the likes of Zendesk, Office 365, SAP, Siebel and Oracle. As Khan told me, Microsoft is targeting both developers who are looking to build line of business apps for enterprise clients and partners, as well as those who are building consumer-facing applications. If you have any questions about this new service (or what it means for your existing ones) just leave a comment below. Khan and Bill Staples, Microsoft’s Application Platform CVP will join the comment section at 9am Pacific today to answer them.